While it’s not common to realize your passion at such a young age, Emad Soliman, MD, MSc, knew he wanted to become a doctor when he proclaimed to his third-grade class: “It is a job of mercy.” Not only did Dr. Soliman become a doctor, he in fact became an expert neurologist and is now chief of neurology at his practice, Westchester Neurological Consultants, in Yonkers, New York. Taking his father’s advice after being accepted into the prestigious seven-year medical program at Alexandria University Faculty of Medicine in Alexandria, Egypt, Dr. Soliman set out to be the best in his field. He graduated from medical school in the top 3% of his class and went on to earn a Master of Science in immunology and molecular biology at Long Island University in Brookville, New York. He completed his internship and residency program at Albert Einstein College of Medicine, also in New York City. Dr. Soliman continued to further his studies in nerve and muscles diseases, completing his fellowship training at the prestigious Icahn School of Medicine at Mount Sinai in New York City. Dr. Soliman has been in private practice for more than 17 years and has hospital affiliations at local community hospitals. During this time, he also served as chief of neurology and director of the stroke units at St. John’s Riverside Hospital, St. Joseph’s Medical Center, and Montefiore Mount Vernon Hospital, all in the greater New York City area. 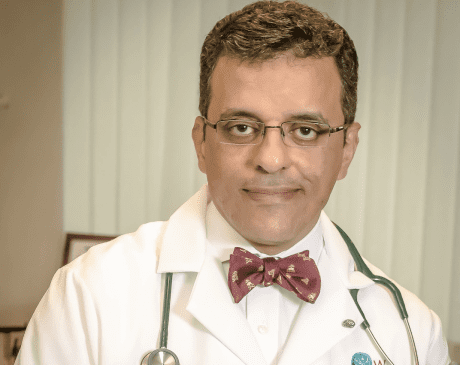 At Westchester Neurological Consultants, Dr. Soliman specializes in treating patients who suffer from migraines, seizures, Parkinson’s disease, and many other muscle and nerve diseases. He has advanced training and certifications in a variety of neurological testing and treatments, including transcranial Doppler testing, electroencephalography, and neurocognitive tests.